Invest in the best, use it for the rest of your days. Every day of every month at GQ, we start your morning on Instagram with visual advice on What to Wear Today. But we want to go deeper. Give you the nuts and bolts of how to get the look into your wardrobe. Today we're making the case for investing in a leather weekend bag that's meant to last. With the exception of Pharrell's, we assume, most guys’ closets aren't stacked high with beautifully made duffel bags arranged alphabetically by designer, with a secondary ROYGBIV categorization. The reality of the situation is more like you have a gym bag and a carry-on suitcase, and the likelihood that one—or both—was acquired in college is very high. But gym bags get funky, and every few years there's some space-age technology and wheel-related game-changer that requires a new suitcase purchase. The one piece of luggage, though, that's impervious to technical innovations and wavering tastes is the leather duffel bag. So with summer almost here and your weekends booked solid with out-of-town adventures (read: every one of your friends' weddings), now's the time to commit yourself to that one great leather duffel bag. And when it comes to stylish accessories, we firmly believe in quality over quantity. 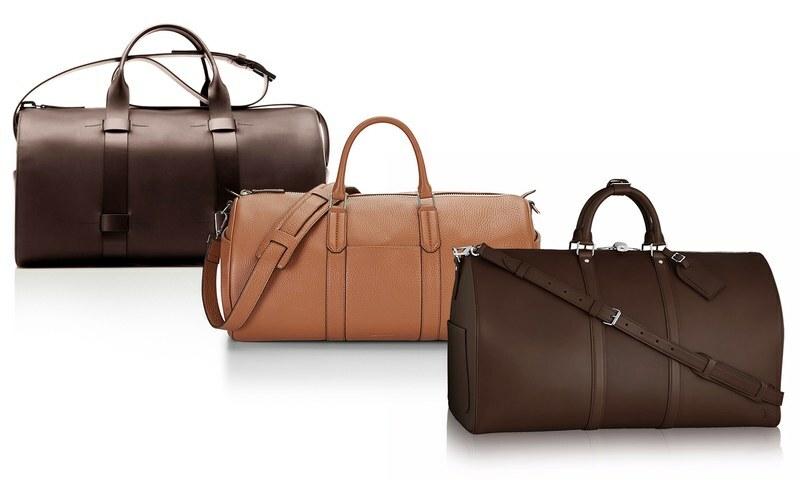 Trust us, no matter how many weekend trips you take to the Hamptons or Joshua Tree, you'll ace every single one of them with the help of a grown man's holdall. Look for one with clean lines and not too much hardware. And to get the most bang for your buck, choose one in chocolate brown or butterscotch. Use the hell out of it, and by the time Labor Day comes around, you'll be holding a 1 of 1 bag that no amount of money can buy. The Man Bun Guide: What Is It & How Do You Wear It?